Your 4 year old must be getting bored with his toddler toys. We’ve reviewed the best toys & gift ideas for 4 year old boys and where to buy. Take a look! 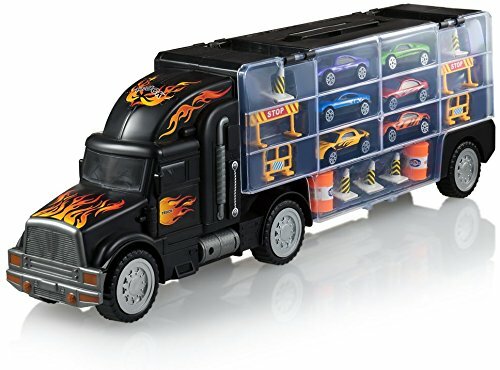 Need to find the best toys and gifts for 4 year old boys? Here’s a handy table for reference. Scroll down for detailed reviews. Every year of our children’s toddlerhood is known for something. But, nobody talks about the 4-year-old stage that much. That’s not because it’s bad. It’s simply a good year, at least from my experience. Every child differs, of course, but when my kids were four, the daily chaos of chasing and diaper changing had wound down. Though they still needed lots of care at this stage, they were more independent. They could use the bathroom without (much) help and could handle more household chores like picking up toys, folding towels, and setting the table. They were also in their second year of preschool, so they knew their ABCs and 123s and had some basic reading skills. Social skills like sharing and using manners had improved. Improved, mind you, not perfect. We had more than one “Mine!”, “No, mine!” spat now and then with the younger sibling. But for the most part, by 4, I could see a preview of the adult they’d eventually become. By age 4, most children will be at certain milestones in terms of physical, social, and language skills. If your child doesn’t meet 100% of these, don’t panic. If they’re not meeting most of them or any, chances are it’s a developmental issue that you’re already aware of. The last three, they’ll probably still be practicing, since those fine motor skills take time to perfect. Tantrums will probably be fewer and farther between as your 4-year-old learns more self-control. But they’ll be very persistent and often demanding in their preferences. They might insist on wearing only blue clothes or making sure their foods never touch on the plate. You’ll also hear a lot of “Why” questions at this stage. Be prepared for the “where do babies come from” question if you’re expecting a younger sibling. What makes 4-year-old boys different from girls? Besides the obvious (they’ve usually learned that by now too), boys typically gravitate toward anything that provides action and movement (ex: toy trucks, balls). 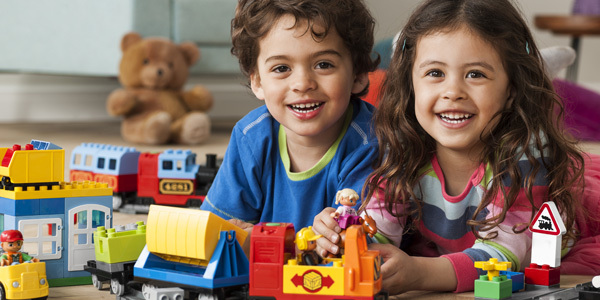 While both girls and boys have a lot of energy at this age, girls will usually veer toward games and toys that are more social and family-oriented in nature (ex: dolls, play kitchens). My son loved toy trucks and blocks. He’s never been much of a ballplayer, but he did love to climb and hop and run. Note: Keep in mind that there’s absolutely nothing wrong with the boy who loves dolls or the girl who loves trucks. You know your child best, but when looking for gifts and age-appropriate toys, knowing the general characteristics will help you make the best choices. What are the best toys and gifts for four-year-old old boys? 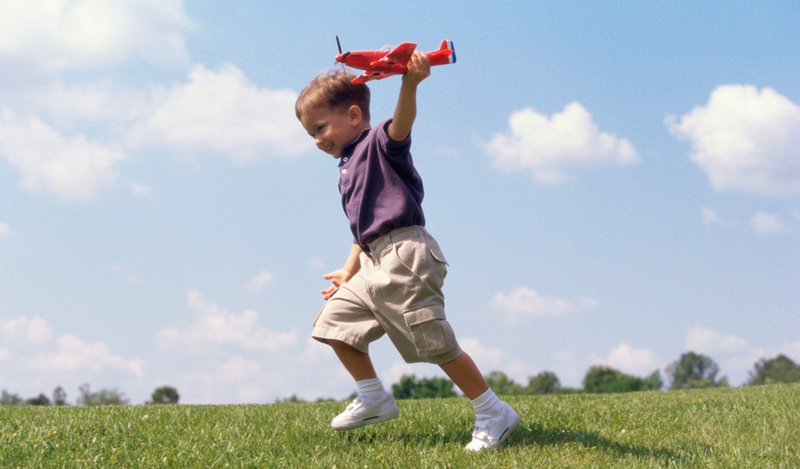 We’ve compiled some great toy ideas for the 4-year-old boy in your life. Check them out and see which of these would most appeal to your child. By all means, check out the handy table above to help you see all the items and stats together for reference. 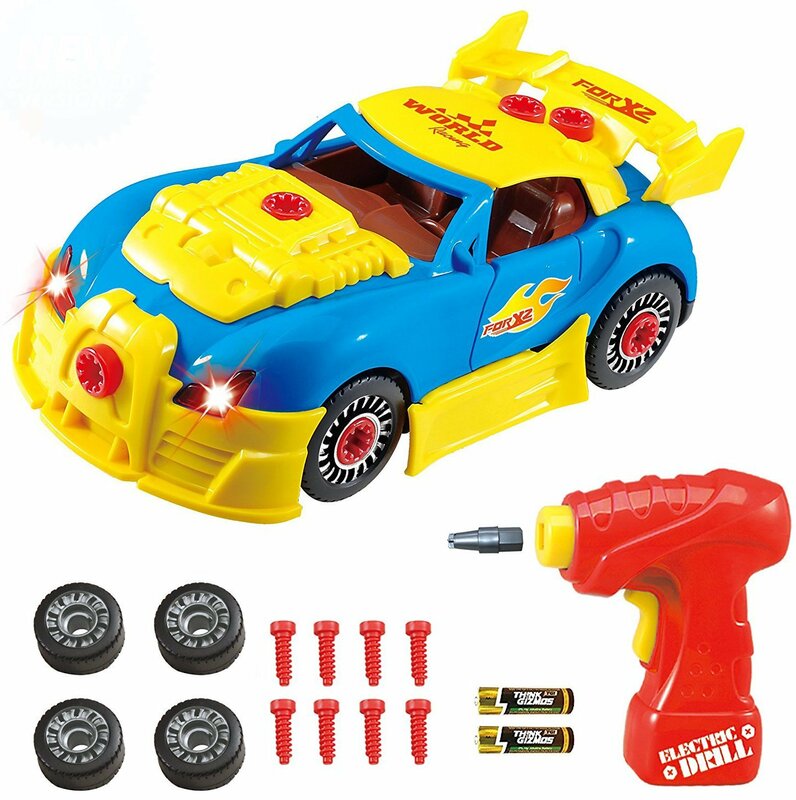 For the little car lovers, this brightly colored race car will keep those curious hands busy. They can fully disassemble and reassemble the car with interchangeable panels and wheels. It’s a good toy to practice sharing and taking turns with friends or siblings. Mom and Dad can use the opportunity to encourage creative thinking and problem-solving, while the child practices those fine motor skills. However, with all the little parts, there’s a big possibility some or several will get lost. Friends and siblings under 3 will need very close supervision so the parts aren’t choking hazards. The drill does require batteries, so you’ll have to keep those on hand. Finally, some parents reported lost or broken parts upon arrival. What kid doesn’t like Batman? 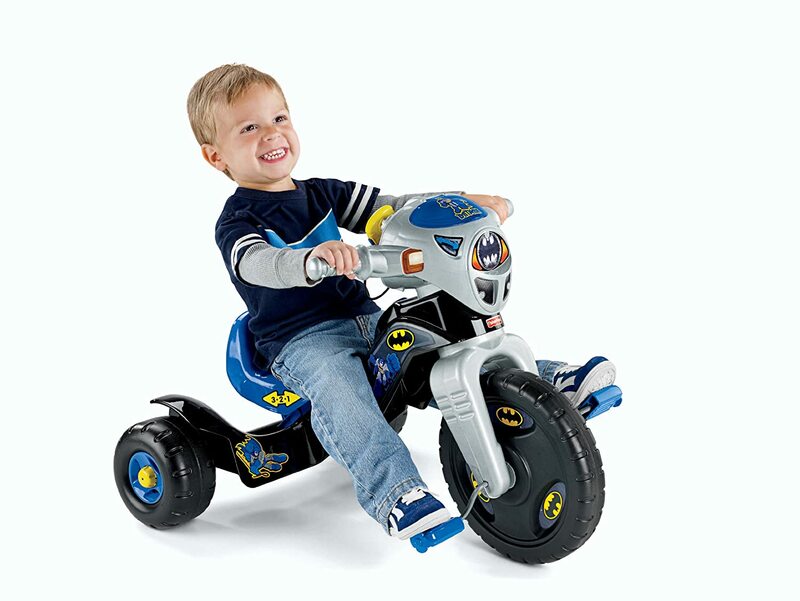 With this trike, he can pretend he’s in the Batmobile chasing the Joker or just simply see how fast he can go. 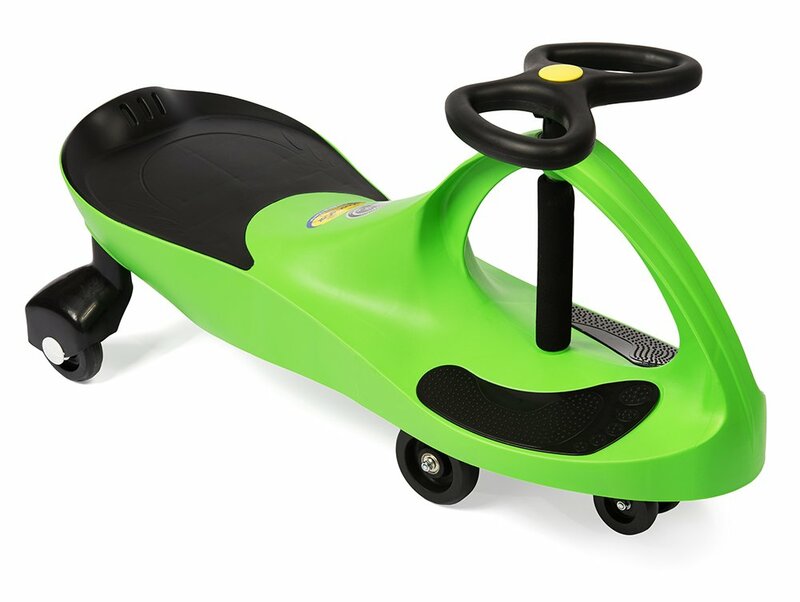 The wide wheel base provides stability to avoid turning over. Lights and buttons with Batman sounds on the handlebar add to the fun. Most noteworthy is the three position seat that can grow with your kiddo. On the negative side, quality control has been an issue for some customers. Parts either missing or misaligned upon arrival was the most common report. Others noted that the wheels didn’t have enough traction so it was hard for their kid to get it moving. Thoroughly inspect each part upon arrival and if anything is missing, broken or poorly aligned, call Fisher-Price customer service. I don’t know about your kid, but my son loved dinosaurs. If he was still 4, he’d love this set of buildable dinos. They’re free of harsh chemicals and fully assembled (a parent’s blessing) so you can start playing right away. Two screwdrivers make it a great toy for a play date or to spend some time with an older sibling. Due to small parts, children under 3 should not play with these unsupervised. Certainly, the parts could be lost easily, so you’ll have to be vigilant in putting everything away after play. Some children who don’t have well-developed fine motor skills could find assembling these a challenge. Also, a few customers reported broken or missing pieces upon arrival. This little scooter is 100% kid-powered. It runs on gravity and friction, getting up to 6 mph. He’ll get exercise and won’t even know it because it’ll be so much fun, indoors or out. Most noteworthy, it even holds up to 220 pounds, so mom and dad can have a turn too (as awkward as it may be). It’s won all kinds of awards and comes in 10 bright colors, so your picky 4-year-old can get his favorite color of the hour. On the negative side, the biggest problem reported with this one was a missing steering wheel upon arrival. This could be a quality control issue related to a specific assembly plant, but open the package and check to see that everything’s there before you wrap it up as a “Santa” gift or birthday gift. A few parents noted that the wheels scratched their hardwood floors, while others said their child didn’t have the arm strength needed to steer it well. On the positive side, this watch comes in 5 different colors and will be a good introduction to the adult version. It’s got a touchscreen with 10 games, a camera, alarm clock, and timer. It even has a voice recorder to sing along with a cartoon panda. 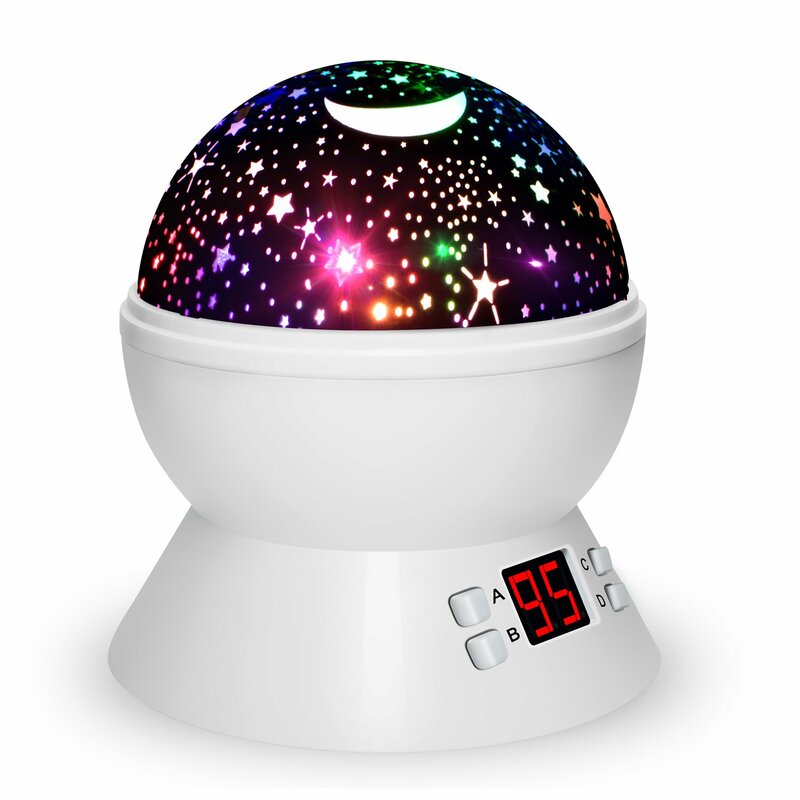 Your kiddo can switch between 20 different clock faces, and it’s USB chargeable. It doesn’t connect to wi-fi or the internet, so you won’t have to worry about any questionable content. 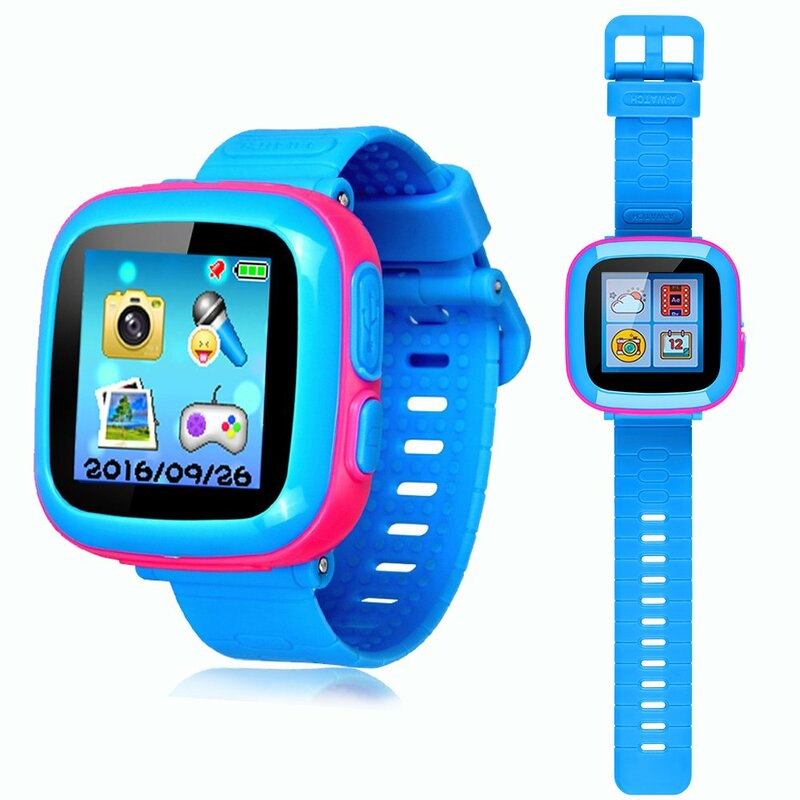 On the negative side, while many customers (and their kids) were happy with this watch, we were disappointed that several of these either wouldn’t turn on or wouldn’t hold a charge. Contacting the manufacturer for a replacement could be difficult since some parents couldn’t find any contact info. This is one of those take chance items in which you’ll probably have no issues but be prepared just in case. I cannot tell you how much I appreciated an aqua mat for my kiddos. No more markers on the carpet or table. Just good clean water fun. It comes with 3 aqua pens and fun-shaped stencils and stamps. It’s a great toy for boys AND girls, fun for solo or group play and is portable for travel fun. 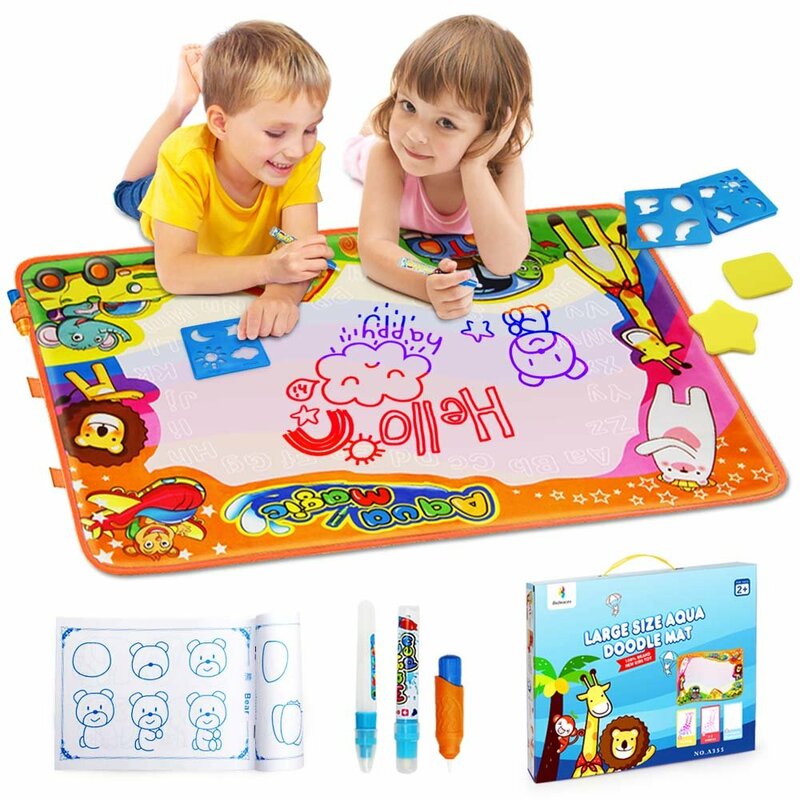 After 3-10 minutes, the magic pen drawings dry and disappear so kids can use it again and again. It’s a simple, fun toy that encourages creative thinking and fine motor skills. Don’t get this confused with the Aqua Doodle brand. Some parents didn’t think this one was quite the same quality. Several of them had problems opening the pens to fill them, while others said the pen drawing ends didn’t get wet. The manufacturer suggests soaking the ends water for 30 minutes before using, so it may prevent that issue. Others noticed marks left on the pad even after drying. This could be due to water quality but is something to be aware of. Our kids loved unique block sets. This one is perfect for playtime with mom, dad, or older siblings. There are 56 pieces, including 24 triangles and 32 squares. The building combinations are endless. 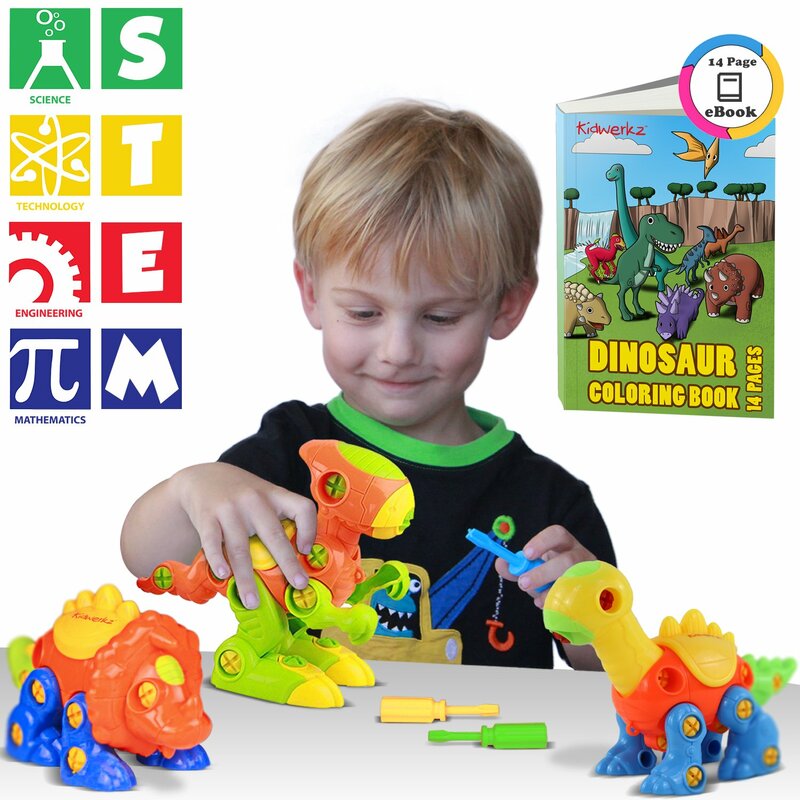 Your kid will learn basics in physics, engineering and creative thinking with this set. Combine them with additional sets for additional, larger projects. The storage bag will be handy to keep up with all those parts. Though sized for small hands, some parents thought the pieces were too small to be enjoyable. A few felt the magnetic pull wasn’t strong enough to hold larger structures. 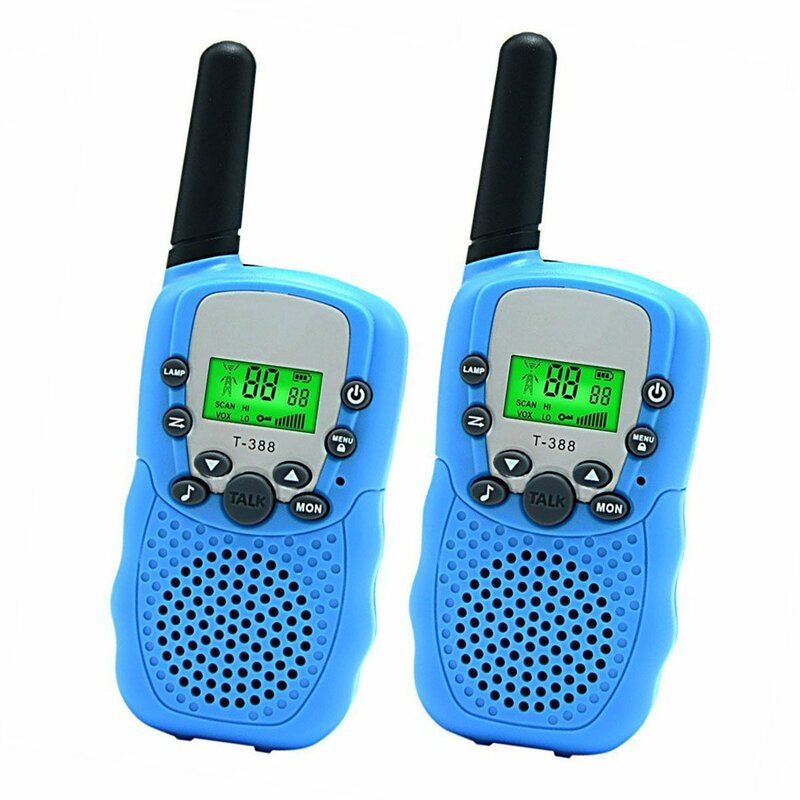 What kid doesn’t love walkie-talkies? This set comes in 6 colors, has 3 channels and a 2 mile range! They’re made of durable, environment friendly materials with crisp sound quality and adjustable volume. With the belt clip, it’ll be easier for the kiddos to keep up with them when playing “safari” in the backyard. A few customers felt they were too small. Others thought the range wasn’t great, especially in an urban setting. Only a couple of people reported that the set didn’t work at all. 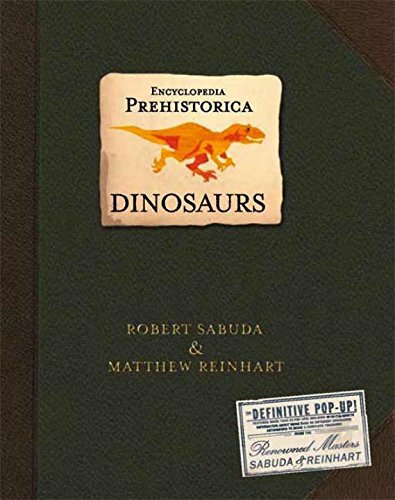 For the book and dino lovers comes this exciting pop-up encyclopedia. From a giant T-Rex with big teeth to a ferocious raptor, your kiddo will love the big pop-up pictures. Besides the awesome illustrations are cool facts, humor and tons of info about popular and lesser-known dinosaurs. Very few people expressed any complaints for this book. A few noted that pages were torn on arrival. From my own experience, you’ll need to supervise and instruct the kids on how to be gentle with turning the pages so the pop-ups don’t rip. Parents and kids love this drill table from Educational Insights. It’s a fabulous way to increase their fine motor skills, creative thinking, and coordination. There are 120 bolts, a reversible drill, screwdriver, wrench, 2 drill bit and 20 activity cards to challenge their design skills. Some customers reported that the drill didn’t work at all, even after replacing the batteries. A few noted that the drill overheated and smoked when using the reverse gear. Some of the replacements they received didn’t work either, and others reported missing parts. This adorable night light is great for kids of all ages. It’s sturdy enough to withstand abuse. Kids love the starry night sky projected on their walls and ceilings. There are four color options for the stars and a shut-off timer. It’s battery or USB powered, which is great for travel. A few customers received a defective product – either did not work at all or broke after a couple uses. The biggest complaint was that it didn’t come with batteries or a charger. 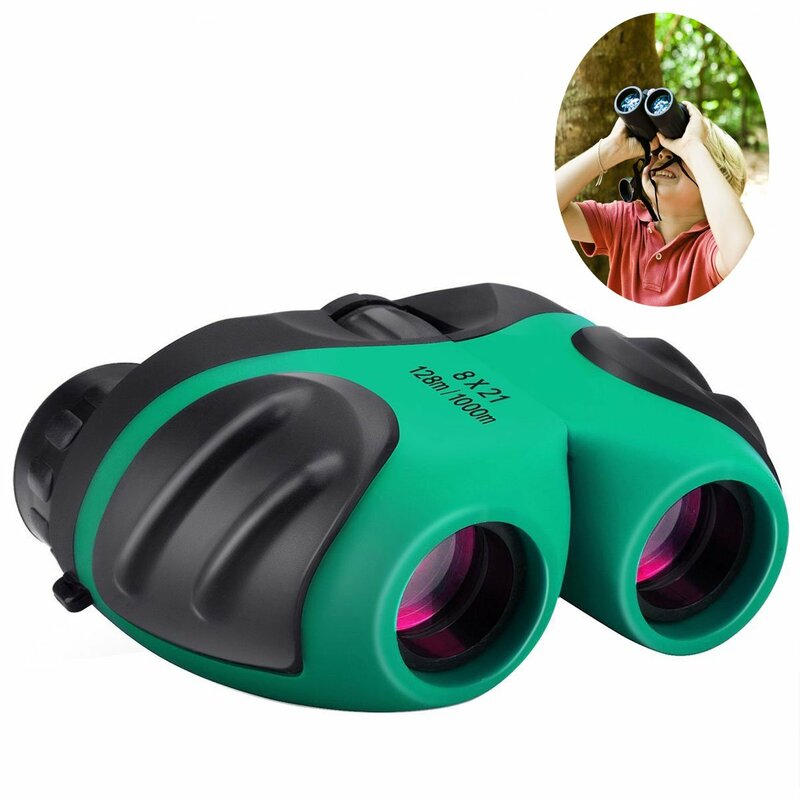 These binoculars are perfect for little hands to get a close-up 8X view of their world. The non-slip grip and rubber eyepieces make them easy and comfortable to use. There are 9 colors to choose from. Parents love that they also adjust to adult size so you can enjoy them with your kid. Some parents felt the image quality was terrible. Others reported the focus wheel was difficult to adjust. A few noted that they were either too wide or too narrow for both adult and child to use. My son had a very similar carry case for his many cars. He loved it! This one includes 6 cars and accessories to get their collection started. It will hold 28 toy cars and the trailer is detachable with a handle for easy portability. The cab can turn so the whole thing is a toy in itself. Quality control was the main issue reported in this toy. Some stickers came off easily, plastic was already cracked, and a few parents felt the whole thing was too flimsy. A few also noted that it didn’t fit some of their child’s toy cars, but that’s to be expected. 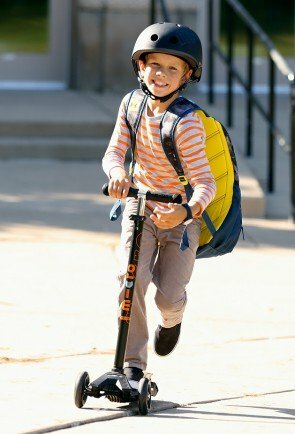 This kick scooter from Micro Kickboard is a great way to keep the kiddos active. Choose from 11 bright colors with matching, anodized T-bars. This is a scooter several parents have purchased again and again because their kids love it so much, they wear it out after a couple of years. 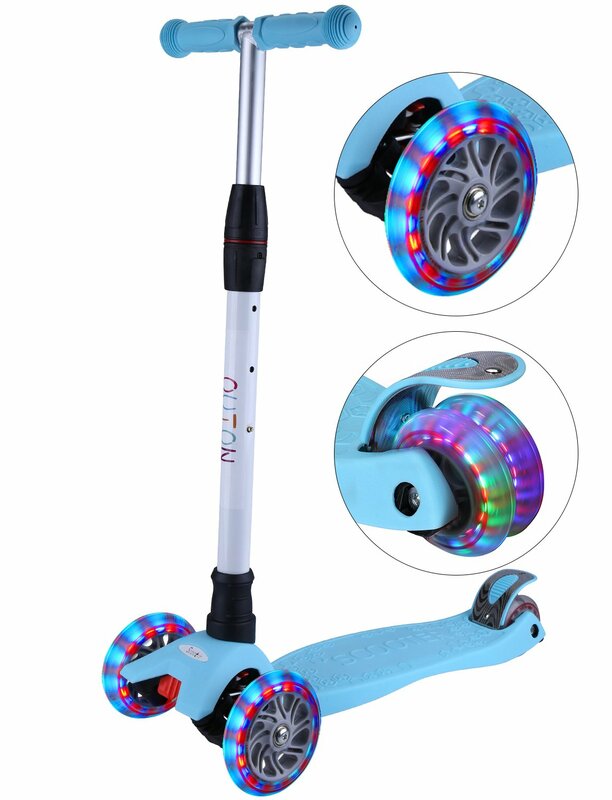 It’s designed to easily go over bumps while still providing a smooth ride. Thankfully, there are few complaints about this scooter. The only negative might be the price. It’s pretty expensive compared to some scooters on the market. However, you’re paying for great quality in a durable product that can be used for a long time and passed on to younger siblings and friends. Get the kids off the couch and mobile devices with these light, fast-flying rings. 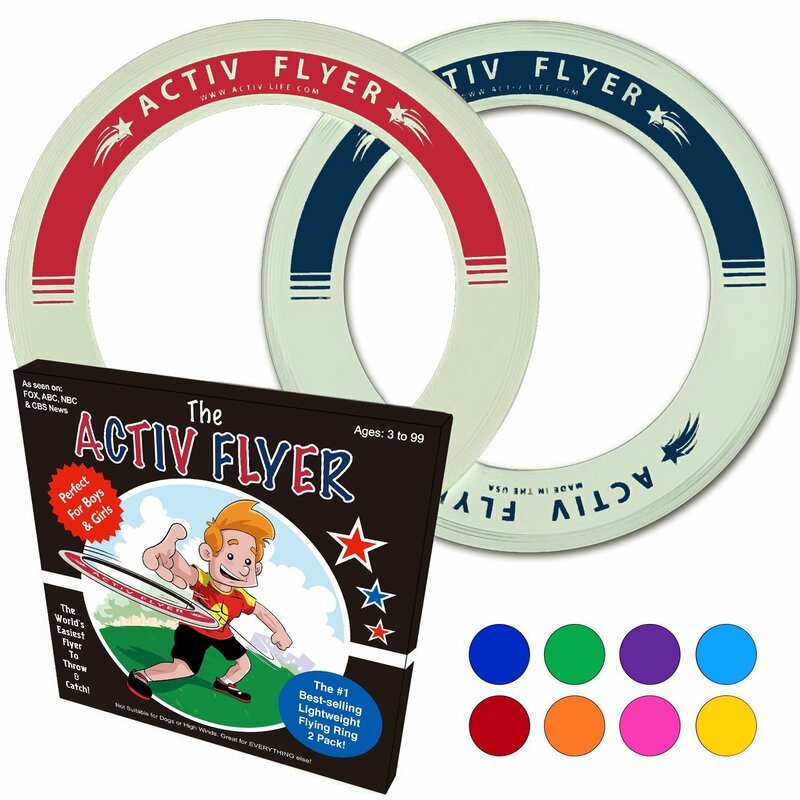 They come in several color combos and are glow-in-the-dark for summer night fun. They’re super light and flexible, so they won’t hurt when caught (or missed). They also float in water for pool or beach time fun. If you have dogs, do NOT let them play with it. They won’t stand up to the dog’s bite, and any tear in the material will stop it from flying. Due to the lightweight design, they may break easily if your kids are very rough with them. Some parents thought they were TOO light to be used outside, especially on a windy day. Writing takes practice, and this tablet from LeapFrog makes it fun. 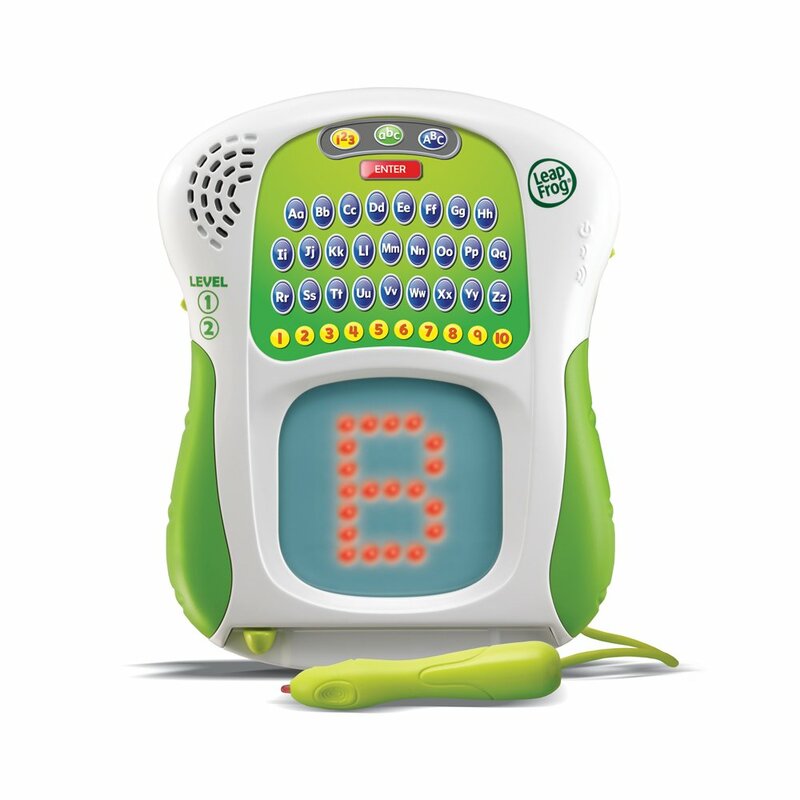 Kids trace the light patterns to learn the alphabet and numbers 1- 10. It offers feedback on proper shape and stroke order so your kids know the best techniques. The big stylus is easy for them to hold and helps them practice pencil holding. On the negative side, quality control issues were the biggest complaint with this one. Some parents thought the sounds and music were too loud, even on the lowest volume. Other parents reported that it got stuck on one letter or number no matter what they did. They also didn’t like that the pen had to constantly touch the screen while writing a letter, or it would make the child start over. 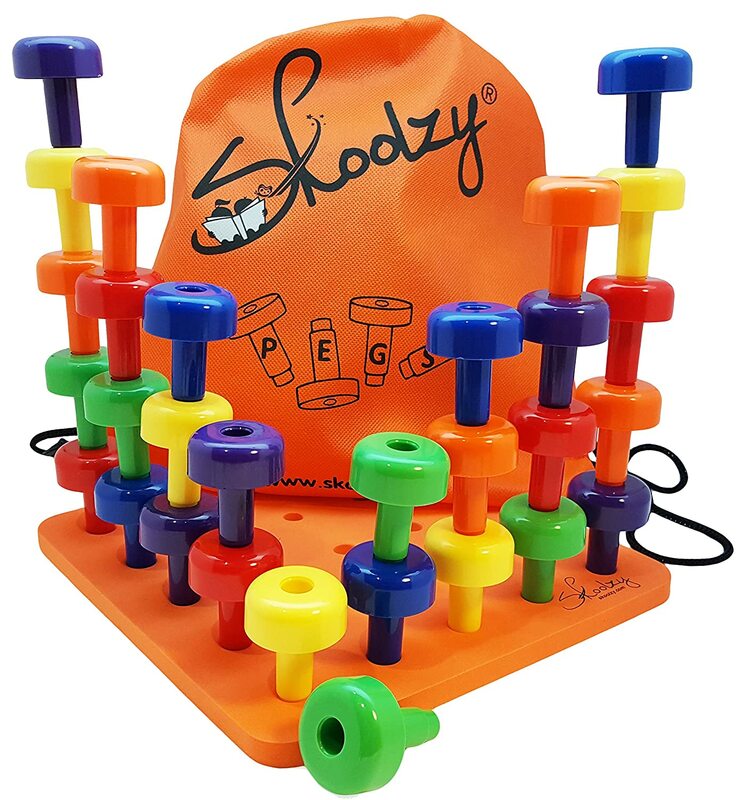 Parents and kids love this unique peg set from Skoolzy. 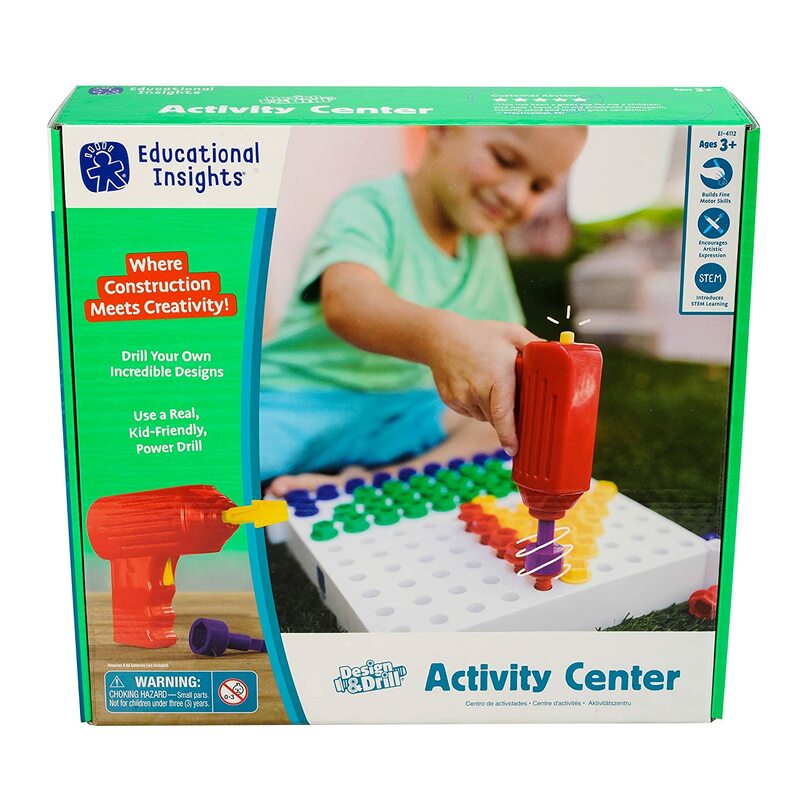 There are 30 pegs which provide color recognition practice and enhance fine motor skills. The foam pegboard is durable enough for use in group settings like preschool. The oversized pegs are easy to hold. Several parents buy this for their autistic children. There’s also a downloadable guide with activity ideas. Unfortunately, several parents noted sharp edges on the pegs that hurt their child’s fingers. Inspect all parts before use and sand down any rough edges if necessary or call the company for a replacement. Finally, a few parents reported the holes in the pegboard seemed too small for the pegs. 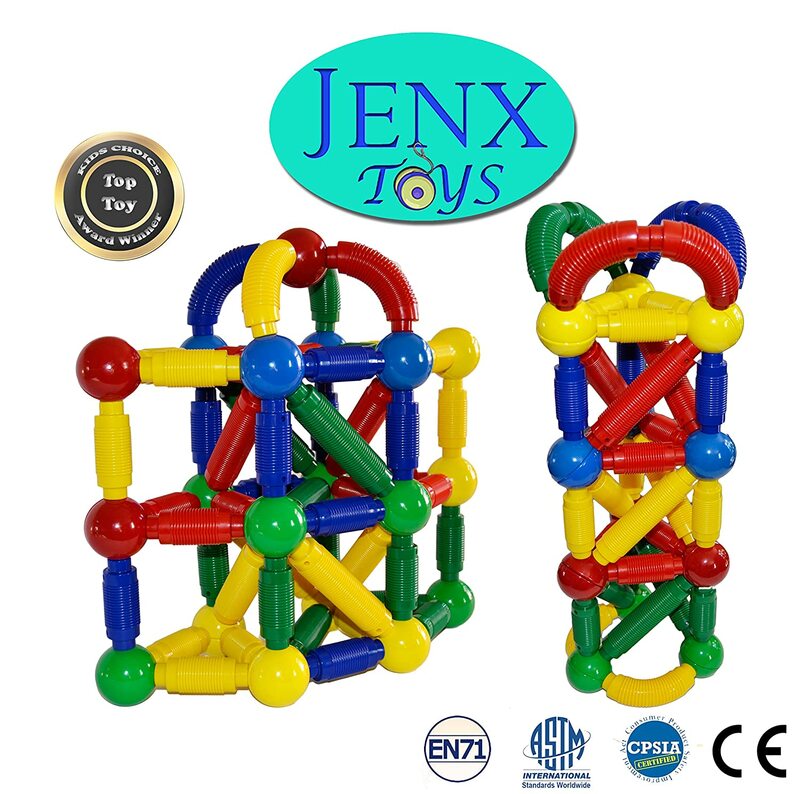 Here is another magnetic building set, but with several different shapes including bendable rods and balls, a carry bag and activity guide. These are popular for playtime with older siblings, parents, friends and preschool classes. 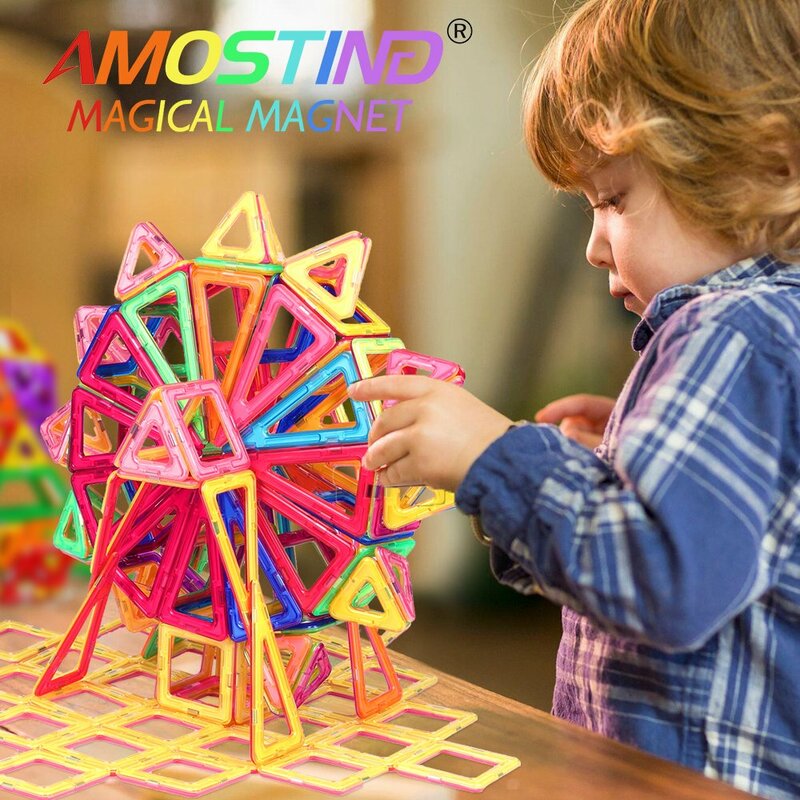 They’ll learn colors, shapes, principles of magnetism, geometry, spatial reasoning, and architecture. The only complaints included a few missing pieces and red paint chipping off some of the pieces. Because of the chipping paint and small pieces, closely supervise any children 3 and under who may be prone to putting things in their mouths. 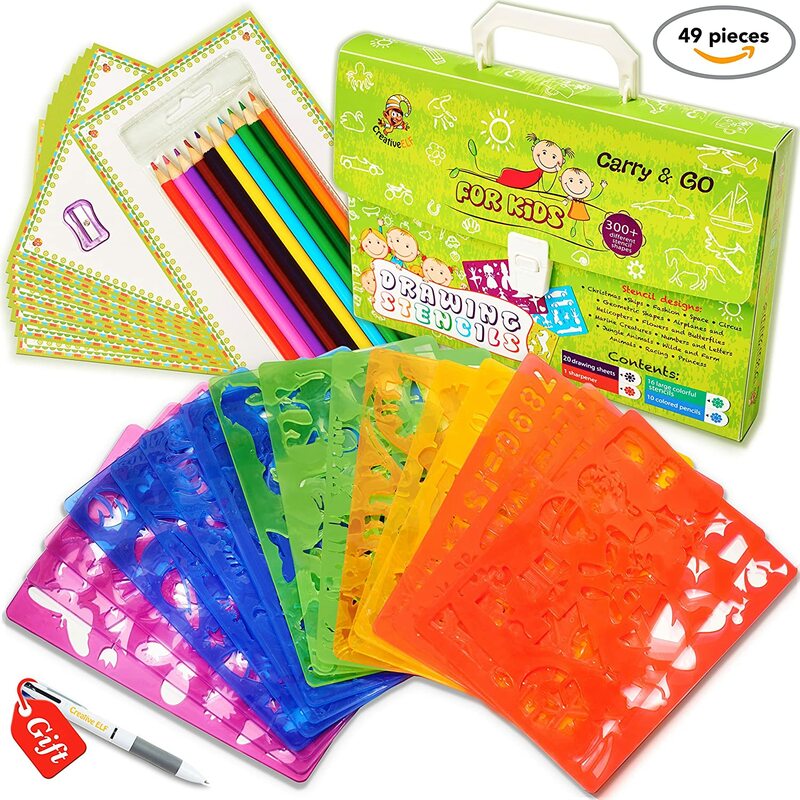 Here is another gift for the little art lovers, this set includes 16 stencils, 20 sheets of paper, 10 color pencils, pencil sharpener, tri-color pen and a carry case. The washable stencils can be used over and over with all kinds of media – pencil, paint, markers, etc. There are 300 shapes to choose from for tons of creative possibilities. Despite the variety, some parents thought the color pencils weren’t the best quality. In addition, others noted that the pencils didn’t fit well inside some of the really small areas of the stencils. Three wheels on this scooter from Outon give it better stability, not to mention the lean-to-turn feature uses body weight for easy maneuvering. It holds up to 120 pounds and the handlebar adjust to different heights so older siblings and some parents can take a turn on it too. Kids think the coolest part of this one are the LED lights in the wheels. While cheaper than the Micro Maxi above, quality may be lacking. Several parents reported that wheels or the handlebar came off during use. Due to this issue, inspect each part thoroughly before your child rides it, and make sure they wear a helmet, knee and elbow pads. 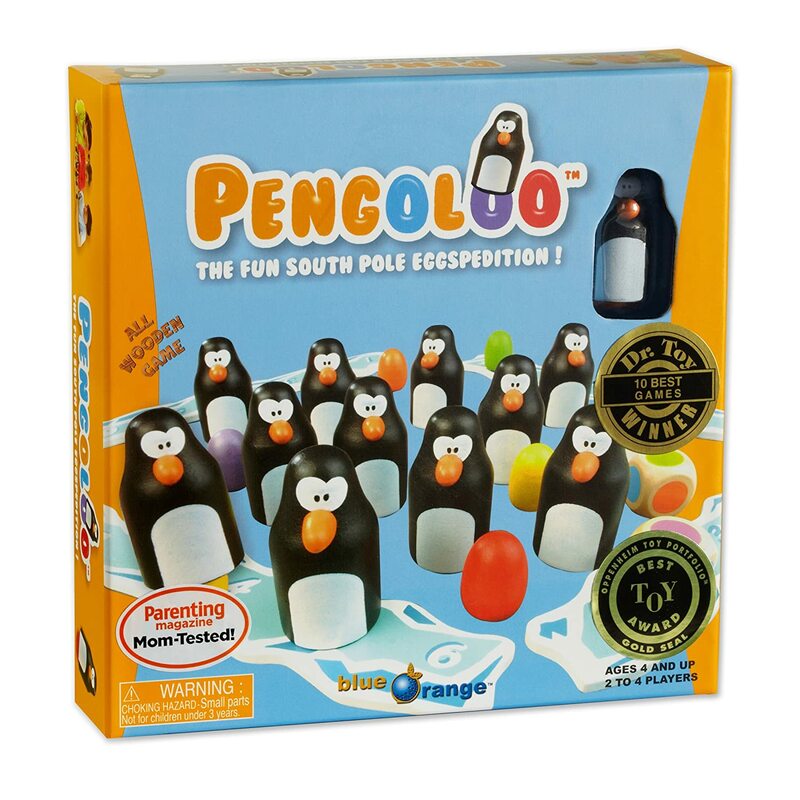 This all-wooden memory game features penguins sitting on colored “eggs.” Children roll the die and try to locate the right color under the penguins. It teaches color recognition as well as memory, concentration, and turn-taking. The first to collect 6 eggs wins. Since it’s for 2-4 players, it’s perfect for a family game night. No reading required! However, while this may be fun and challenging for toddlers, the game can easily get boring for older kids and adults. Some parents felt that 12 eggs weren’t nearly enough, while others thought the instructions were confusing at first. Sounds like one is probably best for a quick game to pass the time or as one of several on game night. So, which of our best toys and gifts for 4-year-old boys did you like best? Browse the comparison table at the top of this page for a quick review of the whole list. Four-year-old boys are fun! And the whole world is their playground. Take the time to explore it with them. From zoos to parks to a simple backyard safari, it’s an opportunity to teach them about the world we live in before they are exposed to life’s harsher realities. Not only is it fun for them to learn and play with you, but you’ll be reintroduced to things you loved at that age and will learn to appreciate things you’ve taken for granted. Catching fireflies at dusk, building a snowman, hide and seek – you can even dust off your favorite childhood books to share and enjoy with them. Enjoy four. It’s a busy time and will go by so fast. Soon your little boy will be off to elementary school, so make every second count!